The high-risk invasive species Coolatai Grass was spotted by a Parks and Conservation ranger along the Cotter Road near Duffy. Photos: Supplied. Swift action from the ACT Government’s new Biosecurity Emergency Response Team has saved the territory from a new invasive weed which can quickly take hold and resists burning, slashing and herbicides. An infestation of the high-risk invasive species Coolatai Grass was recently spotted by a Parks and Conservation ranger along the Cotter Road near Duffy and removed within hours of detection. It is part of an ongoing battle against invasive weeds in the ACT which are seen as a threat to biodiversity and increase fire danger. “Coolatai Grass is a very high-risk species that quickly dominates pastures and native grasslands and has destroyed large areas of native grasslands in the NSW Northern Tablelands,” said ACT Conservator for Flora and Fauna, Ian Walker. “Thanks to this early detection from a proactive ranger and a rapid response from our Biosecurity Emergency Response Team, we have prevented this damaging invader establishing itself in the ACT and stopped what could have been a long-term biosecurity battle. “The infestation was removed and destroyed within hours of the detection. A thorough search of the surrounding area confirmed there were no other infestations nearby,” Mr Walker said. “Coolatai Grass is particularly nasty as it resists burning, slashing and herbicides and can outcompete other invasive weeds such as African lovegrass. Coolatai Grass seed heads. The invasive weed was discovered next to the Cotter Road near Duffy. “Biosecurity is everyone’s responsibility so we encourage anyone who suspects a grass of being invasive to report it on the web-based animal/plant identifier: https://canberra.naturemapr.org/. Mr Walker said the team has been set up under a new approach of ‘early detection and rapid response’, which not only prevents invasive grass becoming established but saves money by avoiding the costs of dealing with a bigger invasion further down the track. 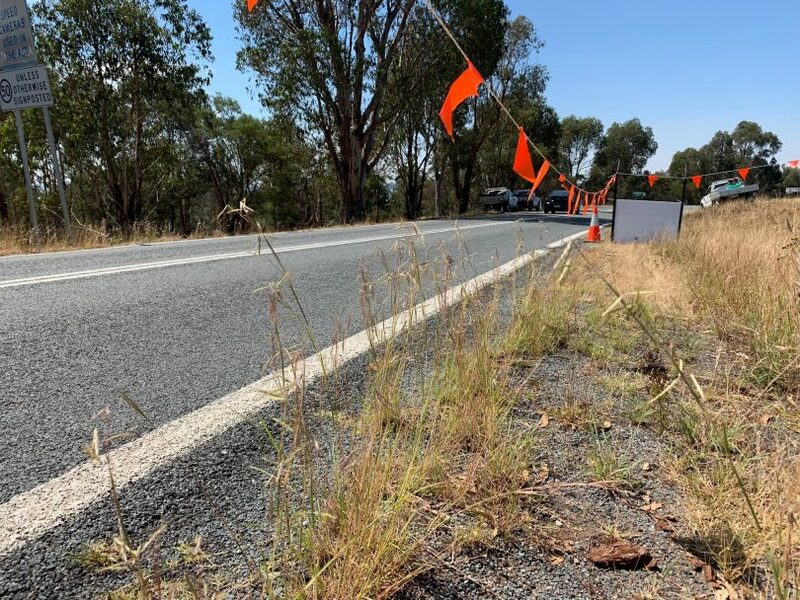 “ACT Parks and Conservation staff working with colleagues in Transport Canberra and City Services have all undergone rapid response training and are deployed when there is a new incursion of a high-risk invasive species like Coolatai Grass or cane toads,” Mr Walker said. Last year the top three invasive weeds targeted in the ACT were serrated tussock, African lovegrass and St John’s wort with a range of innovative techniques used in the battle. They included the use of all-terrain vehicles and drones, while abseilers were used to scale down cliffs to reach pockets of prickly pear. 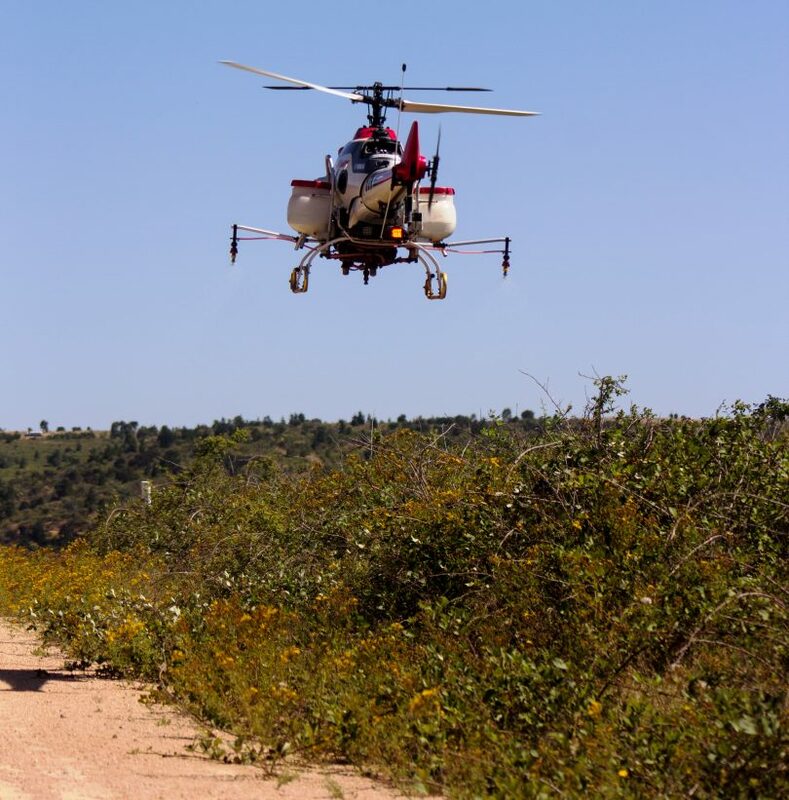 Drones are being used to get to inaccessible places in the ACT’s battle to fight invasive weeds. And all the poison they are spraying is harming bees. Now get on top of the serated tusock. Good job. Now how about the African Love Grass which is just about everywhere? How do we deal with that? Yet they do nothing for the european wasp? African lovegrass all throughout Fisher. And yet they have let St. John’s wort completely spread all over Canberra ? We have Bio-security team (B.E.R.T.) in the ACT? Need an app. Plenty of bushwalking people out there who'd be happy to keep an eye out and report suspects. Citizen surveillance swinging into action - just need to make it easy and immediate. Jenny Hutchison we have two apps that we monitor closely for new incursion weeds, they are - Canberra Nature Map and INaturalist. Please jump on board! Should check out Northbourne, great variety of weeds growing there.